Tammy Han sees the tech ecosystem from a very unique vantage point. She spends nearly every waking hour (including those when she really should be sleeping), working with startup founders looking to hire and candidates looking — or in most cases not, actually — to get hired. Her role on First Round’s Talent Team is to make matches between great talent and the right companies in a market that can only be described as red hot. She’s also observed the broader industry trends and many mistakes that this frenzied mentality has driven over the past few years. “One of the findings in First Round’s recent State of Startups report was that hiring the right people tops the list of founder concerns,” says Tammy. Recruiting, especially early on, can make or break a startup. But, as securing funding has been easier these past few years, the ability to land top talent is only getting harder. Competition is fierce, and Silicon Valley’s increasingly lavish culture is fostering outsized expectations among founders and candidates alike. In this exclusive interview, Tammy walks through the three non-obvious yet massively influential challenges shaping the recruiting landscape. Armed with insights into both sides of the hiring equation, she shares tips to help candidates and companies keep their eyes on the prize: Doing great work. Too often, candidates ask her what a company’s latest valuation is, if it has unicorn potential, whether it’s gotten significant coverage on TechCrunch, what the prospects look like for its next round of funding, who its marquee name investors are, etc. While a company’s ability to raise capital and some of these factors are fine supporting evidence for a decision, they’re not the right indicators to focus on when starting your job search, Tammy says. They’re largely superficial trappings of an investing process that promotes undeserved hype. As a result, job seekers are picking companies for the wrong reasons — reasons that backfire horrendously for those that hire them. Now more than ever, job seekers need to embark on their searches with a clear sense of what they want. Shiny objects abound and distract. Here, Tammy shares a few pointers that can help them land the right role that will bolster their careers in the long run. The vast majority of job seekers want a role on a proverbial rocket ship — Tammy estimates that a good 70% are hunting for star power names like Uber, Warby Parker, Slack, Stripe, etc. After all, it seems particularly appealing to tell your family that you’ve landed a gig at a company they’ve heard of for a change. But this strategy is often counterproductive when evaluating startups. “We’ve found that the majority of people who have the most fulfilling careers are those that took a chance on an unproven startup for the right reasons. They joined for an opportunity to grow, learn and broaden their experience fast, regardless of the fact that it didn’t have a billion-dollar unicorn valuation or a seven-figure paycheck attached,” says Tammy. That’s not always an easy choice, of course. There’s a certain amount of risk involved in betting on a nascent company. “It’s easier to join the winners than to pick them. But the opportunities reserved for the best are the ones that let them pick what they care about most — which is usually some combination of fit between opportunity, skill and passion." Of course, startups aren’t for everyone, and there are other advantages to joining a large company. Whichever way you go, make sure you weigh the pros and cons of early-stage versus established companies: your likely length of tenure, equity left on the table, the team you’ll be working with, and potential opportunities for growth. “People forget that Uber was once a non-household name,” she adds. 2. Scale Your Search Realistically. Perhaps the most important advice is to put aside a rigid focus on any one company at the outset. “A lot of job seekers think, ‘I want to be a founding engineer or in the first 10 employees at Stealth Consumer-Facing Startup, doing something mission driven,’” says Tammy. However, if your search is too narrow too soon, you risk missing out on opportunities you didn’t even know existed. That’s not to say you should take every meeting, though. Job searches that include too many prospects — say, 20 companies — can be particularly unproductive and exhausting. To ensure that you’ve fully explored all options, Tammy advises engaging with 5 to 10 companies to start, and really focusing on your top three companies of interest. Just as she encourages founders to create an ideal candidate profile for each hire they are looking to make, she suggests job seekers create their ideal opportunity profile to guide their job search. Again, the idea is not to create a laundry list of specific companies or exact titles. What kind of company do I want to join? What does that company look like today (stage, founding and leadership team)? What's the right opportunity that would exist within that company that could be a good fit for my current set of skills and experiences? What value could I bring to that company immediately? What will allow me to grow in a certain way? Most importantly, she advises that job seekers focus on their skill sets and finding the best environment to develop them. Someone who wants to go down the founder path one day for example, might want to join an earlier-stage company to get exposure to the varying challenges that come with growth from seed stage to Series A and beyond, provided that a true need exists for them to be a part of the company. The best situations are those that leverage candidates’ previous experiences — allowing them to help accelerate the new company’s success — while offering hands-on opportunities to tackle the right challenges. 3. Never Skimp on Your Research. Once you’ve identified your priorities, it’s time to do your research. And that doesn’t just mean scouring AngelList and TechCrunch, which can lead candidates to falsely equate the biggest and flashiest numbers with the “best” companies. When it comes to researching opportunities at stealth startups, she recommends tracking down someone connected to the company as a first step — that could be a current employee, an advisor, or an angel investor or VC that has a connection. How do you envision growing this team/role? Can you tell me more about the team I’ll be working with? What makes the leadership team in particular so extraordinary? What can you tell me about your plans for growth in 2016 (for the company, in this role, for this team)? What is your timeline for getting back to candidates about next steps? On the founder side, the challenge is to weed out candidates looking for something you can’t (or won’t) provide — and to do it before you waste a lot of time. Tammy’s tips to those hiring in this climate boil down to one key guideline: Be direct, sooner rather than later. 1. Be Diligent About the Candidates You are Interviewing. There’s no shortcut to building the team you want. You’ll need to dedicate at least 50% (if not more) of your time to interviewing and recruiting, or if that’s not possible, hire someone who will make it their full-time job until you have the right core team. Start by mining your primary and secondary networks for referrals. Once you’ve tapped that well dry, put up a jobs page on your website to capture inbound interest or create an AngelList profile with jobs. Carve out time to build target profiles for each of your critical path hires and go outbound with thoughtful emails. Ideal profiles will evolve as you meet with more candidates, but start with a few things that are must-haves. Make sure you’re maximizing your time with the candidates that are relevant to your needs right now, not later. Don’t meet just anyone who has expressed interest in working at your company, or wants to “get into a startup.” Every ‘yes’ to a coffee with aspirational talent is a ‘no’ to a meeting with a potential hire. Founders should also avoid brand-name bias when qualifying candidates. No offense to anyone who’s earned their CS degree at a top computer science institution, or is a big company engineer, but pedigree does not mean they are a superior candidate. There are other traits proven to signal high-performing hires. If you engage with the candidates that are more likely to be a fit for your team in particular, you’ll see more offers get accepted. 2. Want to Know a Candidate’s Motivations? Ask Directly. Sometimes the most general questions can be the most revealing, and she is a proponent of simply asking candidates to describe their ideal opportunities. You only want to hire people who want to work for you for the right reasons. Sure, there will be rejection. But don’t get hung up on those first five or 10 people who say no — they probably weren’t the right risk profile for your company. 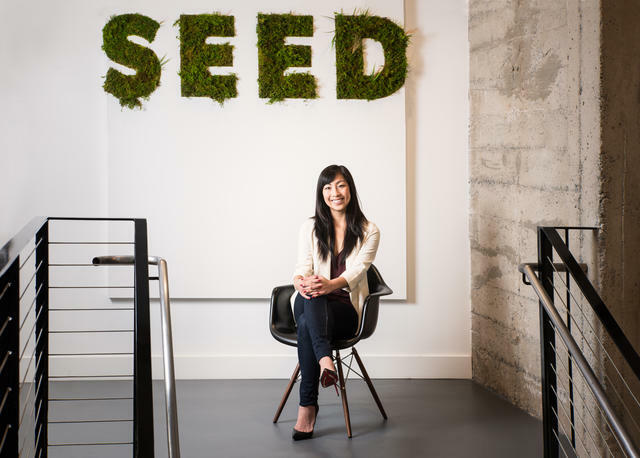 She recalls the early days of recruiting for a once-little company called Pinterest, which saw its first handful of offers declined. “You know those people are kicking themselves now, but they were likely too focused on money and title to take advantage of a great opportunity.” It’s always going to pay to be patient. 3. Don’t Be Afraid to Talk Money Upfront. As long as you’re being direct, Tammy recommends having compensation conversations earlier rather than later in the hiring process. If someone is motivated primarily by money, you’ll suss that out early and save yourself time. “In fact, a lot of startups are saying that they just don't negotiate anymore. Because if somebody's really aggressive at negotiating, you know that their motivations aren't right for you,” she says. You also want to be clear eyed about candidates’ risk profiles by asking explicitly and never making assumptions. Does the candidate have a mortgage and kids in private school, suggesting he'll want more cash vs. equity? There’s no way to know. Maybe he’s had previous exits that gave him more room to tolerate risk? “Don’t judge a book by its cover, just be very careful. Make it clear: ‘Hey, we’re paying everyone below-market salaries until we get to Series A. Is that going to be okay with you? If this is a non-starter, we shouldn't move forward,’” Tammy says. Tammy Han at First Round in San Francisco. With more startups appearing on the scene every day, candidates are getting no shortage of offers. “It's a harried hiring market right now. All those increased funding rounds and valuations have led to inflated compensation packages as people compete for talent. Everyone is trying to recruit the best people with bizarre tactics and outlandish salaries. It's becoming a vicious bidding war,” Tammy says. This has big potential downsides: Candidates can become distracted from the roles they set out to find, and early-stage startups that are cash-poor may worry they can't compete at all. A flood of offers makes selecting the right role with a level head that much more difficult. “It’s the paradox of choice. You’re basically setting yourself up to be frozen,” Tammy says. Her advice to job seekers? Try to filter out the noise and get back to basics. For starters, Tammy advises candidates (and startups) against playing along with Silicon Valley’s perks death match. Just because your peers are taking jobs at places with in-office dog grooming and unlimited kombucha on tap, doesn’t mean you should too. Not only could it lead you away from the most satisfying, skill-building opportunities -when the market corrects itself (and it will), those nice-to-haves are likely to be first on the chopping block. Perks also belie the very real — and often grueling — work that actually goes on at a startup. That engineer who rolls in at 11am? She was up until 4 a.m. shipping code to upgrade your app to the new Rails 4.2.5 release! And the product managers chatting by the kegerator? They’re taking a mental break from gearing up to launch a new feature. “Thanks to pop culture’s romanticism of startup ‘reality,’ some newcomers have this misconception that startups are all fun and games with no hard work,” Tammy says. “That's not the case. At the end of the day, hard problems are being solved.” Perks can be a nice reflection of a company’s culture, and a way for founders to compete for talent. But they won't shape your professional experience at that company. 2. Focus on Your Decision Matrix. 1. Before you start your search, think about how these attributes would stack up at your ideal job. What is most important to you? Maybe it’s the product or the team or the leadership or the upside. Whatever it is, assign these attributes a rank of 1-8. Now you know what you want most. 2. As you start learning more about roles at various companies, create rows for each. What excites you about these opportunities? Stack rank what is best about each company or position using the numbers 1-8 for each of the attributes you’ve defined. Maybe the compensation is the best thing about it or the lifestyle it will allow you to have. In all likelihood, what interests you about a job will be different than what you want the configuration to be at your ideal job. 3. Now you can see clearly how each opportunity compares to your ideal role before you had your expectations tampered with, and where you’ve truly captured your personal values. Where do you see the most matches? When you’re weighing many different factors in a decision, this is a clear way to see how closely a real-world role approximates your priorities in a dream job. After redirecting candidates to their initial criteria, she typically finds that a large majority of them end up taking the offer that mapped closely to their original priorities. The beginning of the process is when you were likely most honest about what you wanted in your next opportunity. “Most startups fail. But the message that you'll hear from most people who have worked at early-stage companies is that what they learned and the opportunities they had there, far outweighed the experience they gained at a later-stage company,” Tammy says. So while candidates may assume that signing on to a startup that goes on to fail would be a wrong move, it could in fact be very for that stage in their careers. 3. Remember, Honesty Actually Is the Best Policy. You’re in an active job search. You’re talking to a lot of people. That’s okay — in fact, it’s assumed. So be upfront when companies ask who you’re interviewing with or where you're at in the process. Be upfront and honest about your expectations, too. You might find that the awkward topic you didn’t want to bring up actually prompts a fruitful conversation. “You might just say, ‘Hey, you're thinking about me as a senior individual contributor. I think I add much more value as an engineering manager. I have great people management skills,’” says Tammy. “They may not know that, and you’ve now given the company a chance to incorporate that into the role.” Wherever you are in your process, candor is your best bet to build solid connections — with both the company you join and the ones you don’t. If you’re the one doing the hiring, the thought of top candidates receiving five or ten offers is nerve-racking, to say the least. Still, a little cool-headedness — and a set of clearly articulated framework for hiring and compensation — will go a long way toward equipping you for any David vs. Goliath recruiting showdowns. 1. Don’t Abandon Your Process. Ever. There’s no need to panic about the constrained talent market — in fact, that would be counterproductive. “First of all, because it's a very competitive landscape for talent, you should be responsive and running a true process,” Tammy says. 2. Focus on Offer Delivery and Timing. Part of successfully navigating candidates’ emotions around making that final decision is understanding if/when to make an offer. It’s a well-known fact in both the recruiting and sales industries that “Time Kills All Deals.” If you’re 99% sure a candidate will accept, don’t hesitate to be the first offer out of the gate. But if you’re not, and if that candidate is still at the beginning of his process, a little strategy is key. Engineers in particular tend to be methodical, and they’re unlikely to abandon a carefully planned search in week one. As you’re interviewing, try to get as much information from candidates as you can about who they’re interviewing with and where they are in that process — then stay in touch so you don’t lose momentum. “Move at the candidate’s speed. Don't ever force an engineer, or anybody really, to abandon their own process. And don't force people to take exploding offers, because that usually results in failure,” says Tammy. As companies get more money, inevitably a lot of it is going toward the talent-recruitment wars. The result? The Silicon Valley press, and even a spate of recent movies and TV shows, tend to depict the celebratory upside of startups. What they don’t necessarily show is all the hard work behind it. Salary and job title are no doubt important factors to consider during a job search. But more important is landing a role that will set you up for long-term career success. Here, Tammy shares her advice for coming through a search with your sanity intact. 1. Don’t Assume Anything. Go Fact-Finding. “Anyone who has previous startup experience — especially engineers, and especially anyone at a brand-name startup — will get hit up by recruiters left and right. That can give people an inflated sense of their market value,” she says. Her advice is not to abandon all salary expectations, but simply to be more realistic. “The market is crazy now, but when it corrects itself, people will come to realize that, ‘Hey, that engineer who’s one year out of dev bootcamp probably isn’t worth $140K.’ At the end of the day, that’s still a junior engineer." To set more realistic expectations, start by taking an honest look at what you would be comfortable with financially. What do you actually need? Then take some time to determine your true market worth. “To be clear: Candidates should never settle for way less than their worth, but they should settle for what they are worth,” says Tammy. There’s no single great resource for researching market salaries, but do what you can to have awareness of your industry’s average: AngelList is a good place to start, and Indeed and Glassdoor can help. (Just remember that none of these resources is exact, and they all rely on self-reported data.) There are other helpful compensation resources recommended in this open source project. Surveying friends is natural, too, but use caution: “Many people don't realize that when someone's saying, ‘I'm making two hundred thousand,’ it's $120K cash base and the rest is RSUs, which aren’t paid immediately. It's vested and there are certain cliff dates and it's all dependent on the company actually performing. There are a lot of variables that people don't realize go into these compensation packages.” Be sure to get and understand all the details before including this kind of anecdotal reporting in your market research. Of course, it’s easy to wonder, “If companies are throwing around lavish compensation, why wouldn’t I maximize for salary and equity?” The issue, Tammy notes, is that salaries way above market rate speak to deeper problems within the company. “You might have a great background and you might add a ton of value, but that's not a scalable solution for thoughtfully growing a company in a lean way,” she says. 2. Avoid Being One of These Archetypes. The Junior Engineer with an Inflated Title: As one of the first engineers at a previous startup, this engineer got the title “engineering lead” right out of the gate. A couple of years later, there was nowhere else to go but “head of engineering.” Now, with just five years of experience, this candidate is looking for VP and even CTO titles (and corresponding equity) — but realistically, should probably be a senior/principal engineer. “A VP of a five-person company is not the same as running and leading engineering teams of two hundred,” Tammy says. The Finance Jockey: Like the MBA, this candidate has come from a high-paying job at a top bank or Big 4 firm. After a successful run there, she thinks the move to a startup will be easy, as she’s seen other recovering finance professionals take the leap. But what she isn’t realizing is that, yes, she’ll have to close the books and handle the accounting details that can be outsourced at a larger organization. Similar to the advice for new MBAs, I’d encourage this candidate to join a later-stage tech company where they can learn from a proven finance leader, learn the tools and processes, and in a few years, move on to an earlier-stage company. The Jack or Jill of All Trades: These candidates are generalists with broad experience who lack depth in a specific functional area. They are effective in the short term because they have good problem solving skills, and early-stage startups can get a lot out of them when they’re capital constrained. But companies rarely have long-term plans for them. They end up having people hired over them or leaving prematurely. Depth in one area is important, so pick one and build a track record. If there’s any chance that you might fall into one of these buckets, have a narrative prepared that would work organically in an interview to address this assumption. You can craft your image much better if you know the preconceived notions people are likely to have. 3. Don’t Go Offer Shopping. In the face of rampant salary creep, and hiring managers clamoring to simply get bodies in the door, founders may be tempted to give into candidates’ unrealistic expectations. But that’s ultimately not good for anyone involved, and Tammy explains how, and why, to successfully push back. 1. Pay a Competitive Market Rate but Don’t Feel Pressured to Do More. While you don’t want to pay outlandish salaries, you don’t want to lowball anyone, either. Employees talk, and establishing arbitrary, inconsistent compensation now will create headaches for you later. Data for seed-stage salaries can be particularly hard to come by, but your VCs can be a great source for aggregated, up-to-date market information. “Loop in your investors if you're about to make an offer to a candidate, just to make sure you're in the right range,” says Tammy. 2. Educate Candidates about What They’re Getting. Equity tends to be a particularly meaningful element of early stage companies’ offers, but a lot of people still don’t understand startup compensation. “Equity is such a substantial part of the upside for joining a startup. It is something that should be explained pretty deeply,” says Tammy. “Max Schireson on equity grants and Andy Rachleff’s The Right Way to Grant Equity are great reads on this.” Tell candidates not just how many shares you’re offering them, but what slice of the pie that represents; explain the total outstanding. That clarity could make the difference between landing a top candidate or not. 3. Refuse to Lower Your Bar. Of course the best case scenario throughout this entire, elaborate process is for both companies and candidates to feel like they are getting exactly what they deserve and are worth. All of these trends enumerated above stand in the way of this ultimately noble goal. Tammy’s in the business of knocking down these barriers to get back to this much more inspiring intention. With this advice, you can do the same no matter which side of the equation you find yourself. Beware brand-name bias: Don’t get dazzled into a bad job. Scale your search realistically: Look at enough opportunities to find the right one. Don’t skimp on research: Don’t cheat yourself out of the data you need to decide. Ignore the perks: Avoid distraction and stick to what you truly want in a role. Rely on your Decision Matrix: See how well opportunities match your values to choose. Be honest: You only have respect to gain from being upfront about your process. Go fact-finding: Know your real market value. Don’t guess. Avoid negative archetypes: Don’t get labeled as a candidate with unrealistic expectations. Don’t go offer shopping: People talk. This will get around. Be diligent: Devote the time and energy it takes to get the best. There are no shortcuts. Ask directly about candidate motivations: Don’t be shy. They should have an answer. Talk money upfront: This will be one of your most helpful filters. Never abandon your process: Exceptions will lead to mistakes. Focus on offer delivery and timing: Take it to heart that time kills all deals. Pay competitively, resist pressure: This is truly how you find the right hires. Educate candidates: Don’t let them accept or reject a package flying blind. Refuse to lower your bar: You’ll be so happy you didn’t.